Welcoming hundreds of participants from more than 70 different institutions based in the US, Canada and Australia last February, the 4th edition of the Higher Ed Analytics Conference was a big hit earlier this year. By popular demand, this online conference focusing only on digital (digital as in web, mobile, email & social media) analytics for higher education is back early next year for its 5th edition on February 15, 2017 – and I need YOUR help to make it as good as (or even better than) its previous editions with your conference proposals! Why present at the #HEA17 Conference? 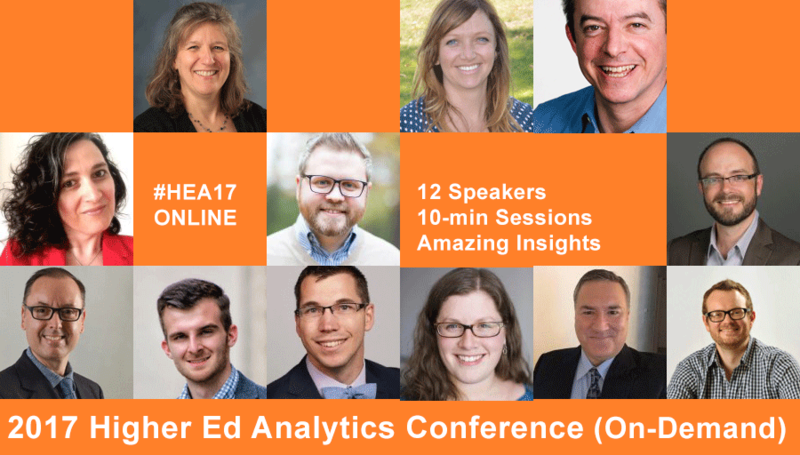 this online conference is the only conference focusing entirely on digital analytics in higher education, so you get to connect and interact with higher ed professionals facing similar analytics and measurement challenges. Analytics skills are in demand in higher ed, so there’s no better way to showcase your know-how to the industry. it’s a great way to get noticed by your peers or other conference organizers interested in analytics, data-driven marketing or social media ROI (even if you’ve never presented before at industry events) as many of past presenters ended up in the speaker line-ups of other industry events after presenting at this conference. it doesn’t require a budget to present AND will even help you save some professional development money, because there is no need to travel AND presenters receive a free pass to attend the whole event WITH their team. 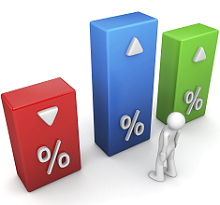 So, do you want to help advance digital analytics practice in higher education? Make sure you share your analytics expertise and experience by submitting your presentation proposal for the 2017 Higher Ed Analytics Conference. Please submit your proposal ASAP as I will start to review them as soon as they come in. And, it really pays to present. All selected presenters will get one free online pass worth $400 to attend the conference with their team. The Nov 30 deadline to submit a proposal is a hard deadline – it won’t be postponed, because the conference program will be announced on December 7, 2016. Whether or not your proposal is accepted, you will get notified super fast.